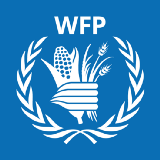 The United Nations World Food Programme works towards a world of Zero Hunger. When we arrive in Musan we see a plain where a mudslide has destroyed over 200 houses. The only thing left is rubble. Some houses are still standing but their gardens are covered in mud. People have tried to salvage whatever is left. We see a destroyed building: “It’s a nursery,” we are told by a local official. We enter and to our surprise it’s still functioning. Caretakers are attending to the children while their parents are working. When I walk through the building and open one of the doors, I see that the front of the building has disappeared.